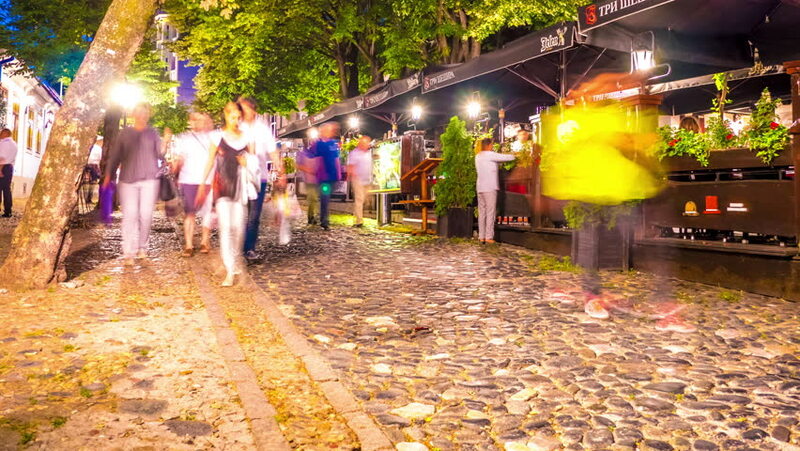 BELGRADE, SERBIA - CIRCA JUNE 2018: Time-lapse view on people as they pass by traditional restaurants and bars in the downtown of the city at night circa June 2018 in Belgrade, Serbia. 4k00:10BELGRADE, SERBIA - CIRCA JUNE 2018: Time-lapse view on people as they pass by traditional restaurants and bars in the downtown of the city at night circa June 2018 in Belgrade, Serbia. hd00:10BELGRADE, SERBIA - CIRCA JUNE 2018: Time-lapse view on people as they pass by traditional restaurants and bars in the downtown of the city at night circa June 2018 in Belgrade, Serbia.